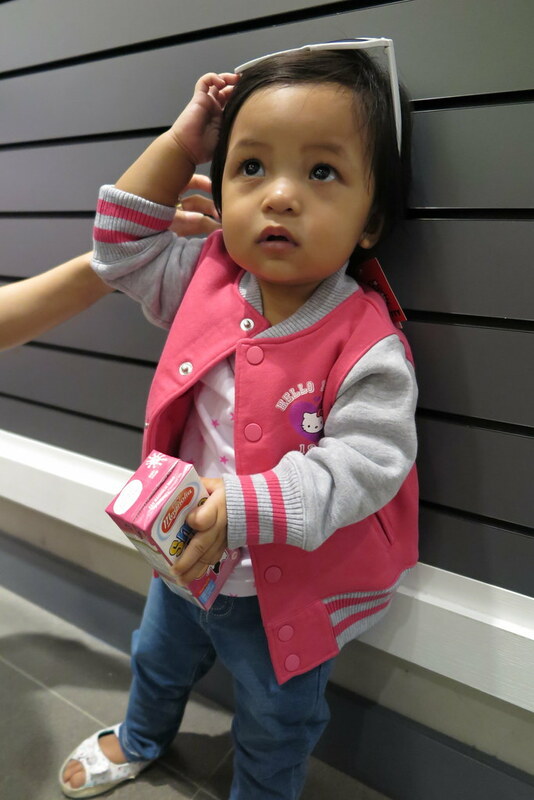 Parents (and Grandparents) can be very kiasu, especially when buying clothes and shoes for babies. “Get bigger sizes so they can wear for longer time. They grow in size so fast!” True babies grow at super fast speed, but they should also get clothes that is fitting. They have feelings too you know, you won’t want to look shabby when shopping in town right? These babies too! Dress them snuggly and right! You’ll feel happier too seeing them look great in fitting clothes. Stock up on bright colors clothes or tees with cheerful print designs. These never fails to brighten up your toddler’s mood and style. I love getting denim pants, jeans and shorts for my girls. They are super versatile and goes well with any kind of tops. Most of these pants come with adjustable elastic band and buttons, especially useful when child is transiting into diaper free stage. Having two girls means I get to “recycle” their clothes. Zara inherited a lot of clothes from her sister. Though worn for countless times and machine-washed plus the aggressive tumbling in the dryer, clothes I bought from FOX Kids and Baby, which I feel is of good quality materials, remain in good shape and colors. They do not look any bit like hand-me-downs when Zara wears them. Being stylish and looking great is ideal, but do dress the kids to the occasion. For me, comfort is key and I always make sure my girls are comfortable in their outfit for our outings. 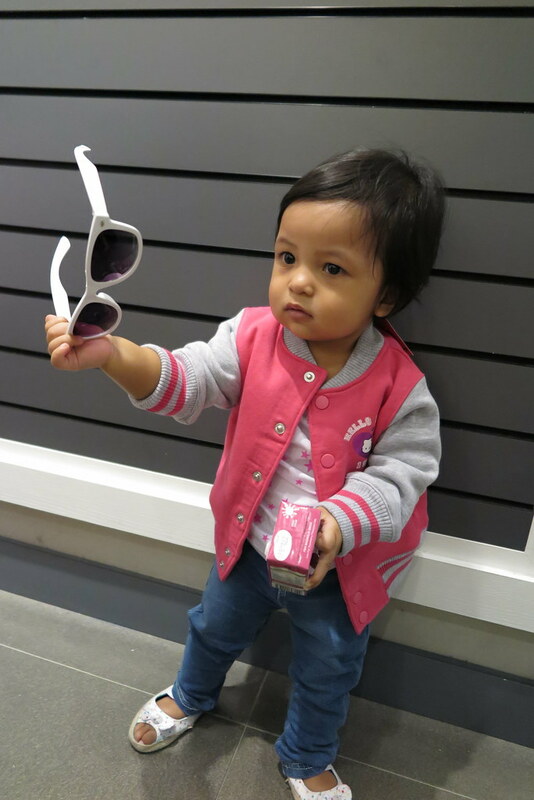 Lucky girl Zara had a mini styling session with fashion stylist, Evon Chng and had fun posing and looking funky in the latest FOX Kids and Baby collection. Not for long she broke down in tears as she got tired standing! The Loving Mum and family would like to thank Fox Kids & Baby for the collaboration opportunities given to us. FOX Kids & Baby is always our number one choice for quality and comfortable clothes for our girls. 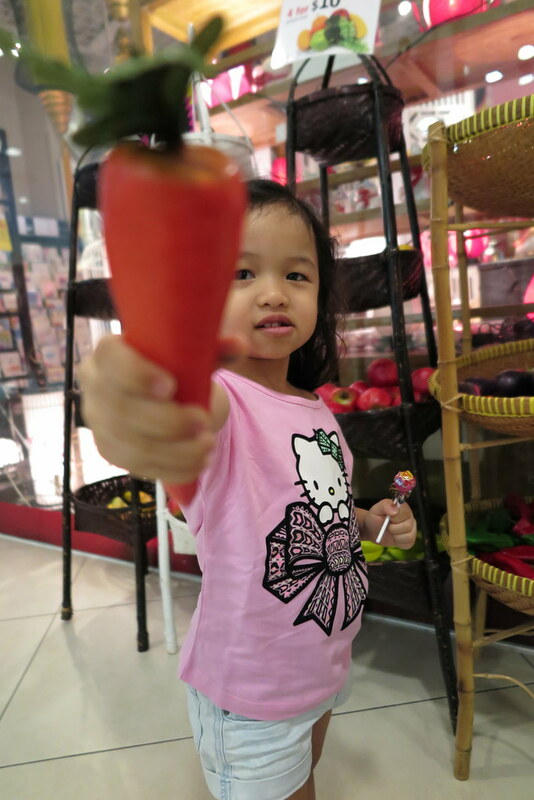 Next Post Zara is One!